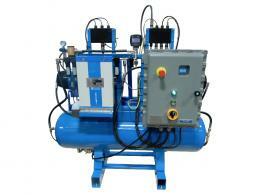 Factair supply Norwegian customer Vestteknikk VE800E breathing-air compressors. Designed to Vestteknikk's specific requirements, the VE800E is a dual voltage 400/690V mobile breathing-air compressor. Factair employee's enjoyed fish and chips! 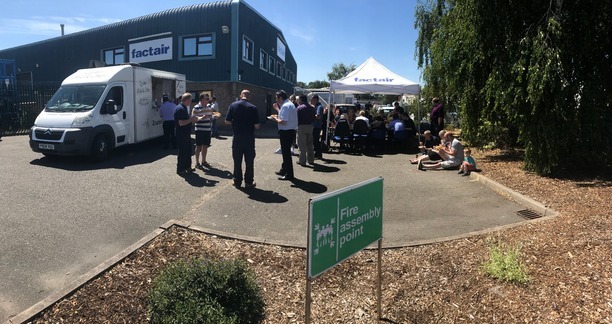 Factair have been enjoying the beautiful Suffolk sunshine, and what better to enjoy this with than fish & chips at work. Some of our retiree's also joined in the food, fun and laughter. What a great day! Factair are extremely proud to announce our latest project for the Fast and Furious Live Shows starting at The O2. Factair will be attending ComVac 2017 from 24th-28th April. 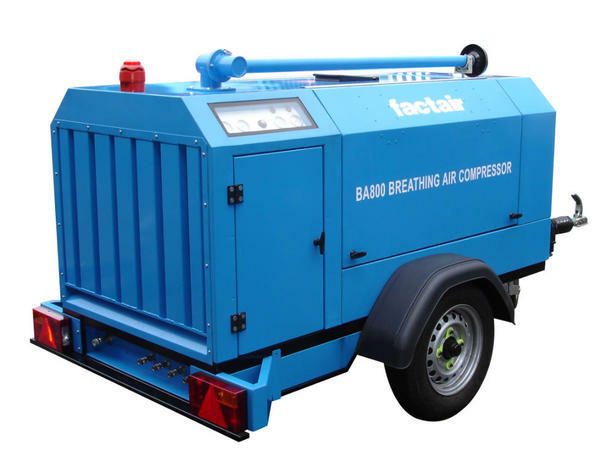 Factair's latest electric compressor, the BA800E is a fully mobile, self contained breathing-air compressor. 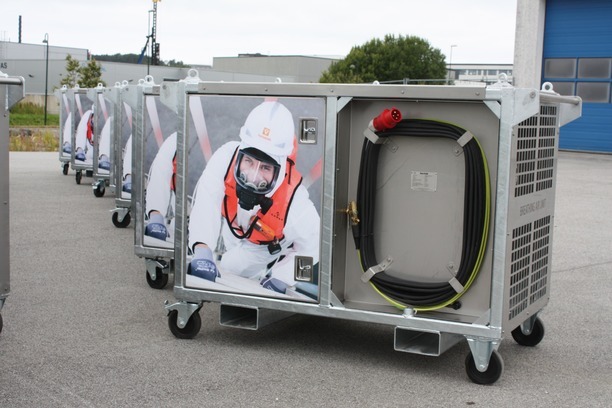 The unit has been specifically designed for providing safe breathing-air for operatives working in potentially contaminated atmospheres such as occur in the nuclear, petrochemical, pharmaceutical and a range of other industries. 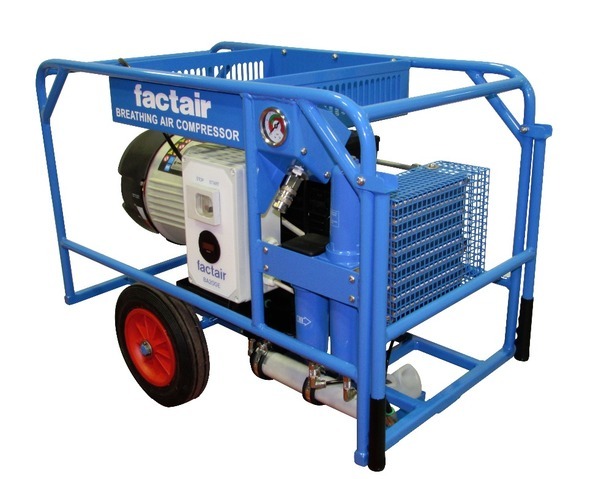 Factair is pleased to announce the launch of the BA200E, single phase electric breathing-air compressor. The BA200E is the replacement to the BA7E and is both smaller and lighter, it also has an increased output compared to the BA7E, producing 200 l/min at 8 bar (whilst the BA7E produced 164 l/min at 7 bar). 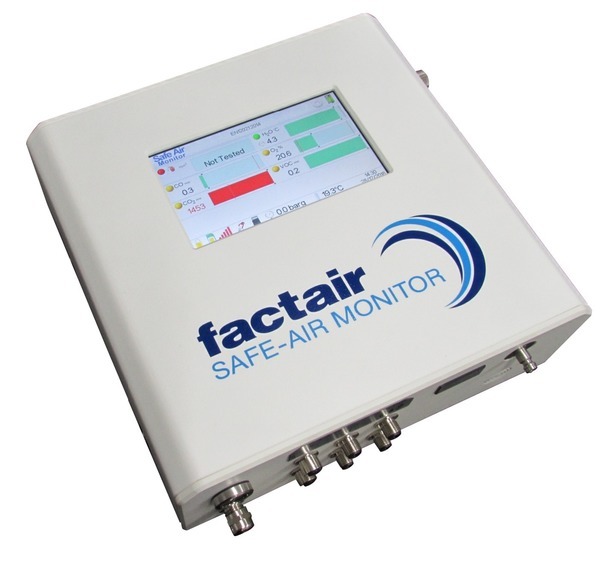 Factair has launched its latest air quality test instrument, the F4504 Multi Air Tester which is the ideal tool when you need to test to a number of different medical and breathing-air standards. With an intuitive menu structure and easy to use colour touch screen display, the F4504 makes air quality testing easy. For medical, surgical and dental air the instrument can test to the requirements of EU Pharmacopeia and HTM 02-01. 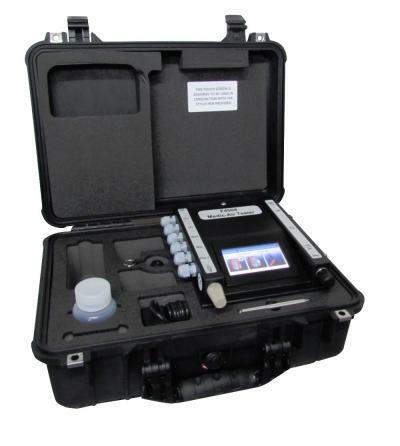 It can also test against the Pharmacopeia parameters for CO2, N2 and N20 supplies. 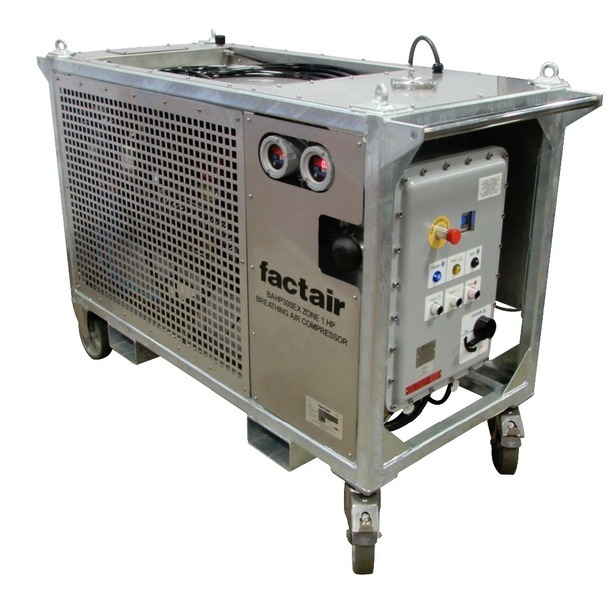 Factair is proud to announce the launch of its latest ATEX compressor, a mobile high pressure charging compressor for breathing-air applications, producing 300 l/min at up to 350 bar. 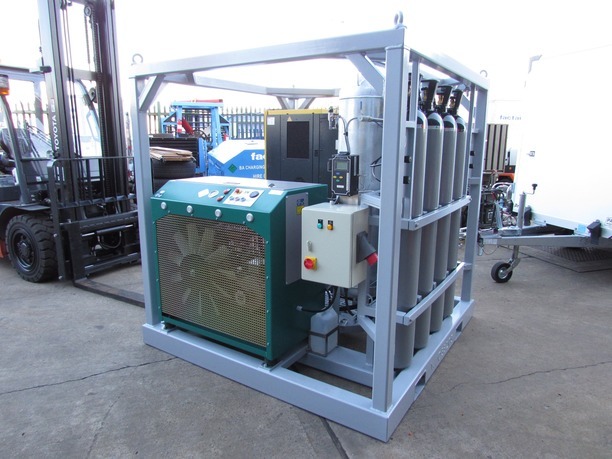 The BAHP300EX is an electrically powered, HP breathing-air charging compressor designed to operate in a ATEX zone 1 hazardous area (ATEX marking: Ex II 2 G, Ex d IIB T3).